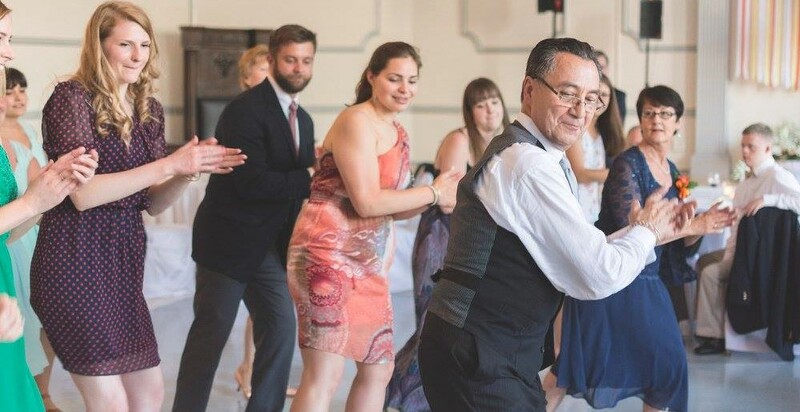 Lee Santos is the delightful instructor for our ballroom classes. In his youth Lee Santos and his sister enjoyed Mexican American folk dancing. When he retired from the Marine Corps, he started taking lessons at the Fred Astaire Dance Studio and soon became an instructor. His professional career began thirty years ago. Lee’s favorite ballroom memory was when he and his wife Peggy won the United States title for the first time at the Waldorf Hotel in New York City. His many accomplishments include representing the US in London for International Latin one year; he is a three-time national champ in American Standard; he once taught Oprah Winfrey how to salsa on TV. Lee urges all students to look at the technical side of movements in order to give a better presentation. In addition, both leads and follows must also practice showing their enjoyment of dancing, i.e. always practice as if an audience is watching you. Projecting pleasure ensures that when you are nervous at competition, judges will see your love of dancing, not your fear of messing up.